December 14, 2003, at age 44. 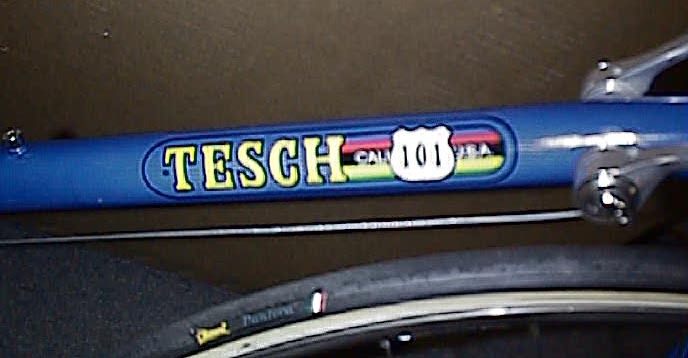 In the mid 1970s, David Tesch began his career with start up Trek Bicycle Company in Wisconsin. He went on to work with Masi in Carlsbad, CA. 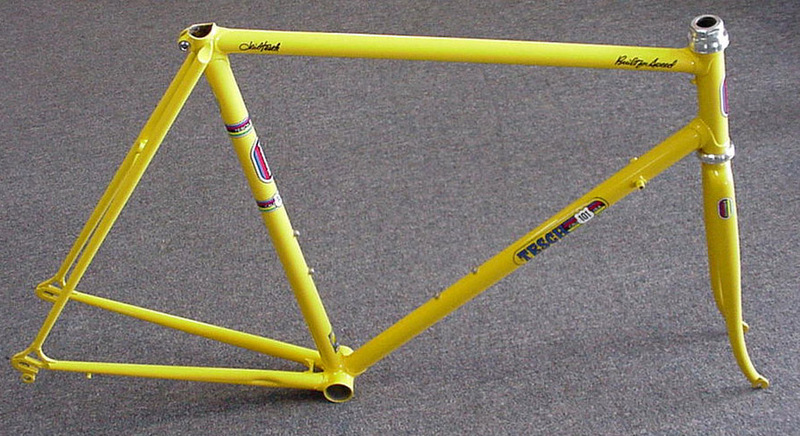 By the early 1980s, he had developed his own identity as a frame builder. 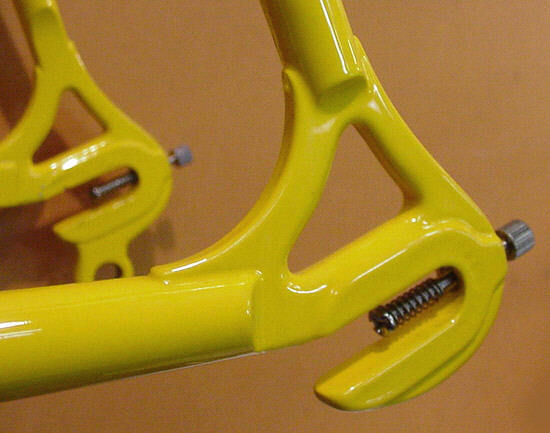 Dave's reputation was that of making bikes that were no-holds-barred racing machines with virtual track bike geometry. 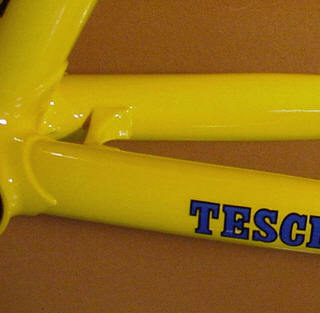 Owners state that Tesch bikes are a blast to ride! 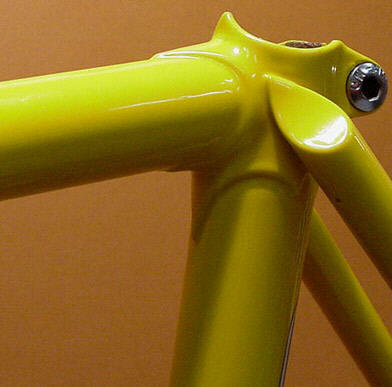 Early model 100 with no serial number, Paint by Brian Baylis. Bicycle Guide magazine "Hot Tubes"
Model 101 bike w/first edition Campagnolo "C Record"